Click the images to find out more! What’s hot over at NotCouture this week? 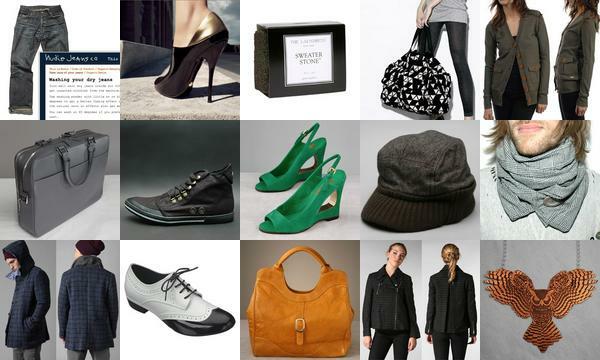 A mix of winter sales and spring fashions around the corner… lots of accessorizing and outerwear! Passport Cards ~ primarily for “border resident communities” since you can use it only for travel by land and sea between the U.S. and Canada, Mexico, the Caribbean region, and Bermuda, according to the State Department. I guess this will be the new must-have for all the socal kids hopping down to TJ now. Applications for these cards start Feb 1 (tomorrow!). “The card will have the same validity period as a passport book: 10 years for an adult, five for children 15 and younger. For adults who already have a passport book, they may apply for the card as a passport renewal and pay only $20. First-time applicants will pay $45 for adult cards and $35 for children. To facilitate the frequent travel of U.S. citizens living in border communities and to meet DHS’s operational needs at land borders, the passport card will contain a vicinity-read radio frequency identification (RFID) chip. This chip will link the card to a stored record in secure government databases. There will be no personal information written to the RFID chip itself.” I’m not sure how i feel about this… also note that the back of the card says “Your passport card should be kept in its protective sleeve when not in use.” So it doesn’t just go in your wallet? It has a special sleeve? 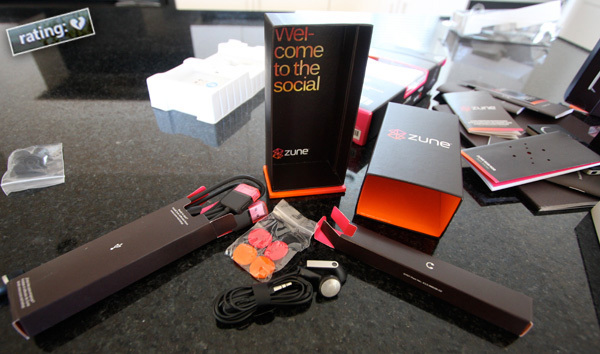 Secret: after CES, i kind of wanted to love the Zune. Well i got curious enough to want to play with one at least… they’ve been doing great things with the arts community (i really do love those crazy Zune Arts animations - and their artist collaborations for Zune designs are fun), they’ve been supporters of NOTCOT with advertising, and the packaging/design details/UI were intriguing… i really do like the font they use on their main interface, and the way it glows as you scroll around! But sadly, much like the ratings option they give you… i’m going to have to rate the experience so far with a ‘broken-heart’… i’m not even sure what that means? Is it that i no longer love the song? Basically i’m completely behind on posts today b/c i had to delve into the painful world of windows - which for this Zune i actually tried to give a second chance. I blew through one dell xp laptop, and had to move on to a tiny sony vista machine before i was able to even get it to let me play a song. Anyhow, more on all of that below… but while i spent ages installing, etc, i fell in love with the design details and packaging… particularly the Zune Premium Headphones. See many pics of the packaging and headphone details ~ as well as the CES Zune section with all the artists pieces up after the jump!!! Nothing like the use of aged polaroids in a beautifully styled site to grab my attention, and i couldn’t resist posting these once i saw them over at Decor8. 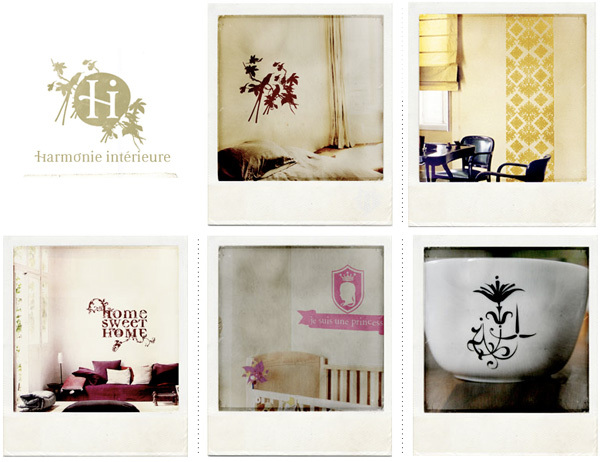 Introducing Harmonie Intérieure, a french line of sticker/decals and prints. What i like first and foremost is certainly the little touches in their site design (see an image after the jump), and while the wall sticker trend is getting a bit tired (although i am certainly having quite a bit of fun with with the vinyl cutter and inventing my own), they certainly have a lovely twist on this, adding enough of their own character through beautiful typography and illustration, cheeky french sayings, and dainty adorable stickers for cups, mugs, boxes, laptops, etc. The Helping Hounds of Hell. What it actually is aside, the poster for this exhibit caught my eye when i was checking out Evasee, and i love it! The simplicity of the curves, characters, three colors, and the typography are just too fun. See the full poster/flyer after the jump. Now as for what it is… The Helping Hounds of Hell are two “exciting exhibitions of handmade skateboard art” in Berlin! The third series of Annie Leibovitz and Disney collaborations has just launched, and like last time, i’ve updated the original post so we can have the full collection in one place! 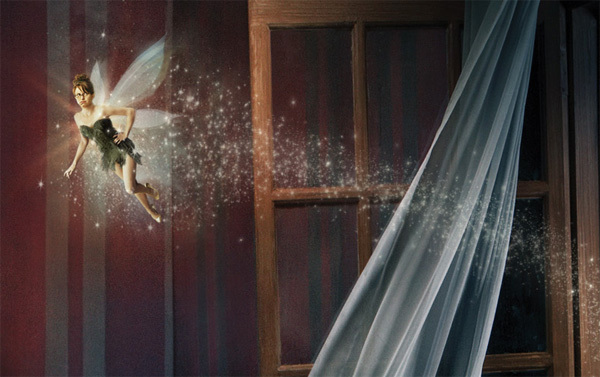 Above is a close up of the tiny Tina Fey as Tinkerbell ~ with such a priceless expression! She’s perfect! Definitely my favorite part of the series! Additionally you can see J.Lo and Mark Anthony as Jasmine and Aladdin, Jessica Biel as Pocahontas, Giselle Bundchen as Wendy, Mikhail Barishnykov as Peter Pan, and Whoopi Goldberg as the Genie. Click here to see the images, some behind the scenes pics, and a video showing the making of with the stars comments. It’s that time of year, politics are inescapable, and while we’re not here to dish out opinions on that matter, i will say that Obama has certainly done the most to appeal to the creative community… we’ve shown you his LA button/sticker/t campaign, his logo variations for every group, and his social network… and now, Shepard Fairey has created some posters showing not only how much he backs Obama, but also just generally putting the call to action out there to VOTE! Posters will be available for order on weds Jan 30th at $50 each, and proceeds from this print go to produce prints for a large statewide poster campaign. 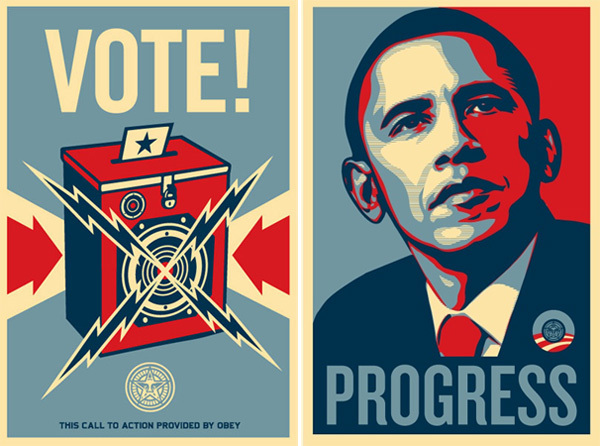 The site also says, “Anyone interested in helping out please email info@obeygiant.com with OBAMA as the Subject Title for instructions.” See more images of the posters after the jump! The gameboy has always been quite the brick in retrospect, but will always be my first console (my parents didn’t let me have video games, but i had won the gameboy, so they HAD to let me have it!). 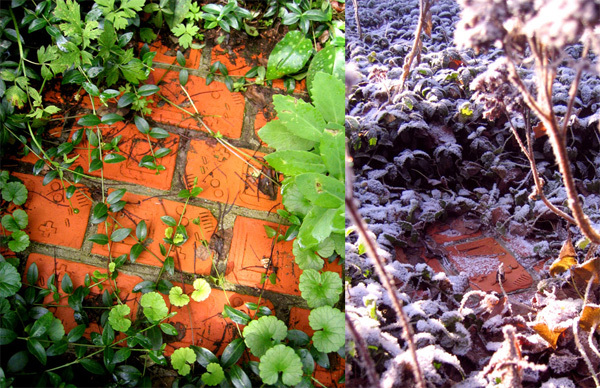 I would love to have a pathway to some crazy secret gameroom in the woods made out of these in my future backyard. Can you imagine making bricks of PS2s, XBOXs, Wiis, PS3s, PSPs, etc etc etc all creating different paths to different places? So many possibilities ~ and although i feel like i’ve been reading about these Gameboy bricks for a while, i somehow only recently discovered the full set of images in the Souvenier section of Gieskes, where you can also purchase bricks for about 30 euro each. I love seeing the process ~ check out more images after the jump! Arne Jacobsen’s world famous 1958 iconic Egg Chair makes me feel like i’m 5… spinning round and round in my grandmother’s egg chair ~ this design icon will forever make me think of her. Can you believe that it’s turning 50 this year? 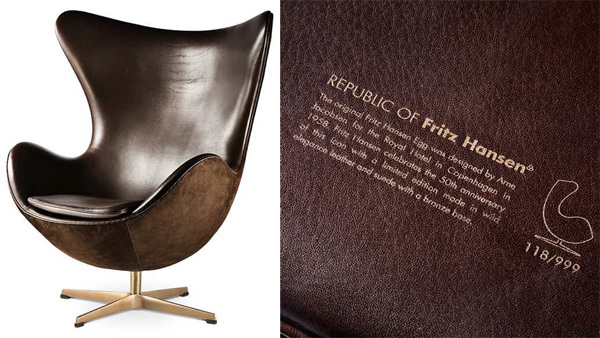 For its golden anniversary, Fritz Hansen is launching a limited edition Egg Chair with engraving and book, here is an excerpt from the press release, and after the jump are many pictures of the chair past and present! The world famous Egg chair designed by Danish Architect Arne Jacobsen in 1958 and manufactured by Fritz Hansen will launch its 50th Anniversary in 2008 with 999 limited edition designs. The limited edition collection will for the first time include chocolate brown suede on the back and dark chocolate brown leather on the front. The sophisticated combination of leather and suede is perfectly complimented with a base in solid bronze; hand polished to create a unique finish. The bronze base will darken in appearance, becoming more beautiful over time. Each of the 999 Eggs will be individually engraved, under the seat cushion, with a unique number and a brief text about the history and origin of the Egg chair design. A special, limited edition 50th anniversary book will also accompany the chair. Click the images to find out more! Wow. On trends that i can’t quite comprehend… BACON. 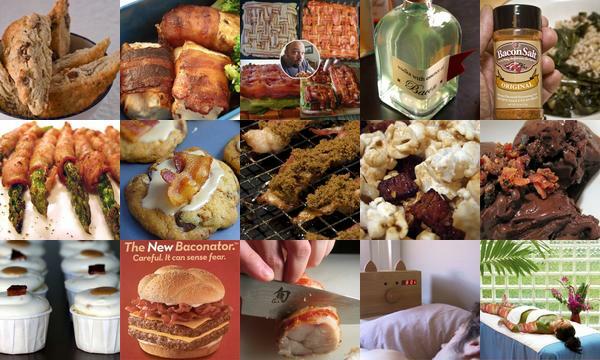 Sure we’ve all been seeing the bacon toys, bandaids, etc floating around, but i am impressed that there are over 80 posts on TasteSpotting on bacon… and here are 15 of the most unique… we have: Bacon and cheese scones. Bacon wrapped tofu. Bacon weave. Bacon vodka. Bacon salt. Bacon wrapped asparagus. Bacon cookies. Bacon candy. Bacon kettle corn. Bacon dark chocolate. Bacon cupcakes. The Baconator. Bacon wrapped monkfish. Bacon alarm clock (yes it wakes you up with fresh bacon). Bacon spa wrap. So really, what IS it about bacon that people love so much? Enlighten me? On new collaborations, Nokia brought Parisian artist/designer Frédérique Daubal on to design the 7900 Crystal Prism. 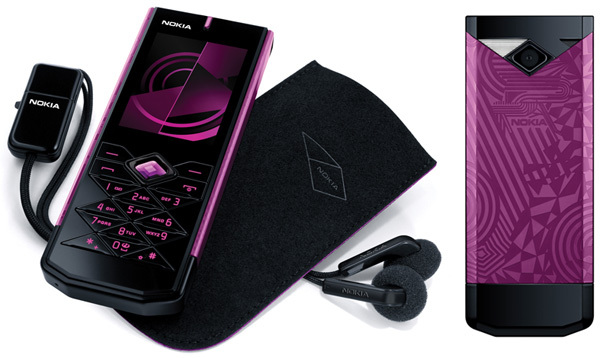 The result is a playful combination of her multifaceted collages, the return of the 80’s geometric motifs, Nokia’s latest in technology (this 3G phone boasts a 2mgp camera - with video, 1GB internal memory, push email, music player), a “dazzling sapphire crystal centerpiece”, matching headset, and variable color options for the keypad. I’m excited to get hands on with this one to play with the 49 different colors you can change the keypad to and the laser etched multifaceted aluminum backing. And if Frédérique Daubal sounds familiar to you, you have probably seen her work everywhere from Colette to Paul Smith ~ and my personal favorite are her Super Family buttons (see image after the jump) which were on NOTCOT.org… and exploring her portfolio, i just discovered her awesome buttons for Bumble & Bumble too! So check these out after the jump as well as some closeups of this fun new phone! I was blown away by Studio Lo’s work when I came across it this week - it all seems to center around the idea of construction (my French is far from perfect, as is Altavista’s Babelfish, so forgive me if something gets lost in translation). I love the colors and the simplicity of their work, and the packaging is pretty gorgeous, too! 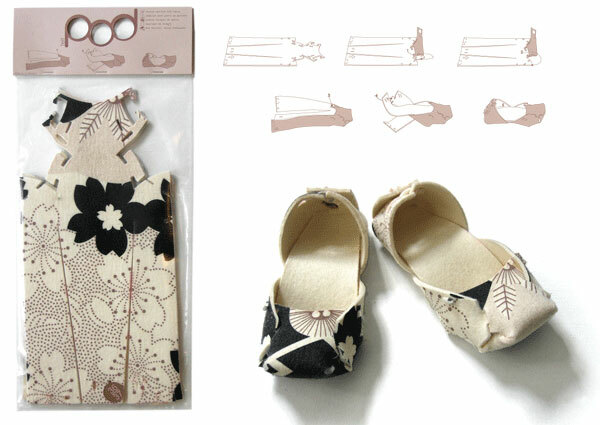 But what I love most is how they create an object out of one piece of wood, or one piece of cloth, or one piece of paper, with minimal waste and design moves. 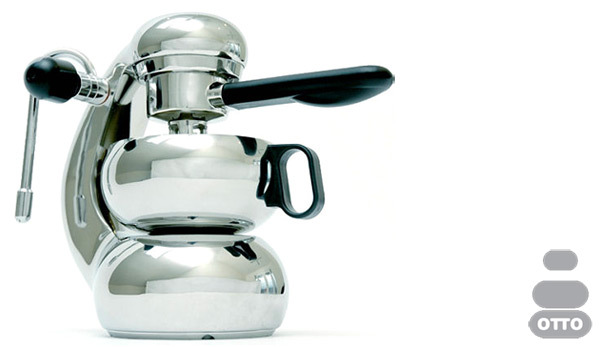 They work within the constraints of the material they have chosen, and the product is more amazing because of it. This is Bjorn Johansson’s Anatomy of a Typeface ~ “Triptych made for a gallery exhibition in 2005. The work is playing with the word “anatomy” which in typographic terms is referring to the different parts of a character.” It’s somehow been in an open tab for me all day, and its absolutely mesmerizing, too bad there isn’t a complete font in this style… that could result in some incredible posters! See more close ups after the jump!